Welcome to Malvern Town Centre Dental! We offer quality family, cosmetic, orthodontic, implant and sedation dentistry to Scarborough and Toronto residents. New patients, dental emergencies and referrals are always welcome! Our experienced dental professionals offer you a personalized dental experience within a relaxed and comfortable atmosphere. With over 25 years of clinical expertise, our Malvern Town Centre Dental practice provides comprehensive oral care in all aspects of dentistry to patients of any age and in many different languages (Spanish, Tagalog, Croatian, Punjabi, Hindi and Chinese). Through constant innovation, education and experience we change lives, one smile at a time. As a dental team we embrace excellence, quality and service. Our philosophy is simple: to treat our patients the way we would like to be treated; with gentle care and a commitment to achieving incredible results that surpass expectations. Our practice is comprised of four lifelong friends (Dr. Randy Singh, Dr. Steven Schneider,Dr. Marty Sekand and Dr. Ken Jandoo) who share a common goal in dentistry: to give our patients the best smile with the most comfort possible. Our experience in all aspects of dentistry ensures that we can find the right solution for all your dental needs at any time. With i-CAT FLX 3D Imaging, Unlock A New World! Available at our Richmond Hill Location! 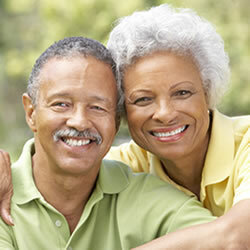 Are your dental insurance benefits expiring at the end of the year? If you don’t use it you’ll lose it! Don’t let your unused insurance benefits or the yearly deductible you have already paid for go to waste. Call us soon to reserve time for your treatment needs. Our schedule tends to get very busy towards the end of the year so don’t wait until the last moment. Let us help you to love your smile today!